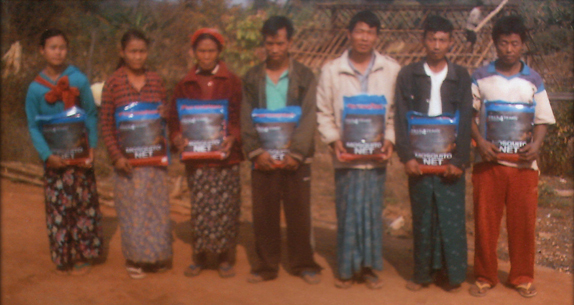 LLIN nets distributed in Myanmar exceeds 10,000 for the year! gures for the Buzz Off Malaria campaign in keep on coming in and the number of LLIN nets that we have distributed in Myanmar in the past 12 months has risen from 9,000 to 10,570. With a final set of seminars for 2014 set for November this number can only but rise again. 9000 of the nets were distributed into the IDP zones in Karen state and to date 1570 have been distributed into other remote areas of Burma through the graduates of the Buzz Off Malaria seminars. Our desire is to see the numbers of nets distributes increase more and more every year. 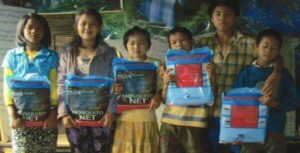 One full sized LLIN net can protect up to 5 people from Malaria. Buzz Off wants to thank its donors and supporters for their generous support of Burma campaign. Donations to Buzz Off’s work in Burma can be made here through the Australian Mercy secure site.